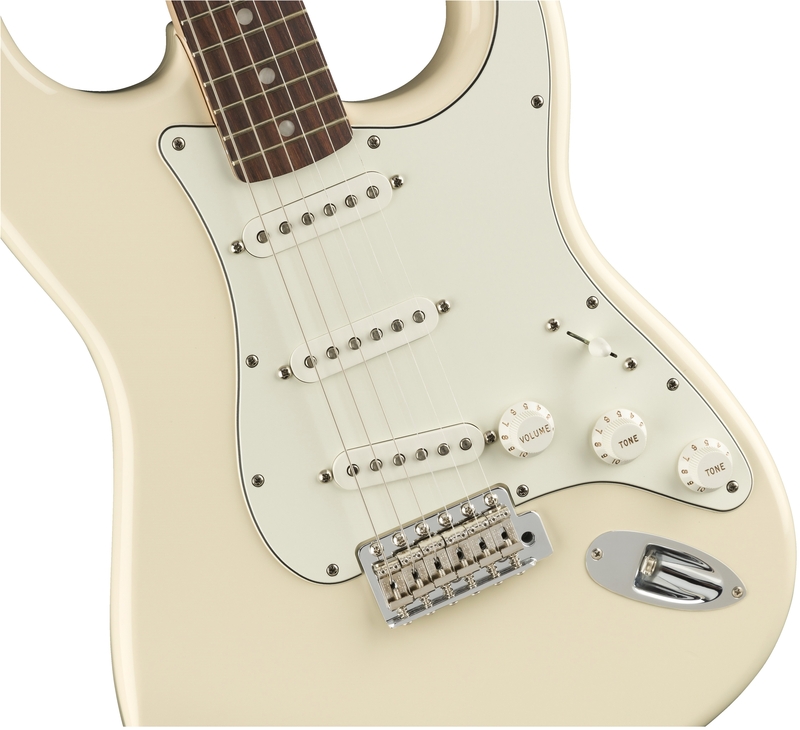 The Albert Hammond Jr Stratocaster celebrates the unique sound and iconic style that continues to define generations of young guitarists starting bands in the back of their garages. 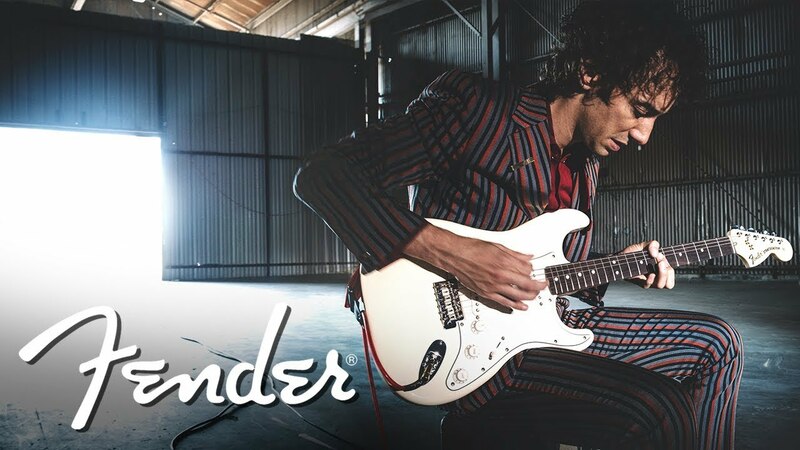 When it came time for Albert Hammond Jr to lay down the guitar tracks for The Strokes’ catalog as well as his solo work, which includes the critically acclaimed album, Francis Trouble, he reached for his 1985 reissue of a ‘72 Strat®. 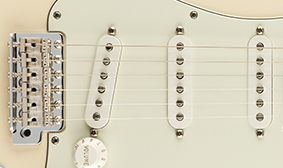 As a unique touch we’ve replicated Hammond’s customized pickups switching: pickup switch position four activates the neck and bridge pickups in tandem, while positions one and three are reversed from the traditional layout. 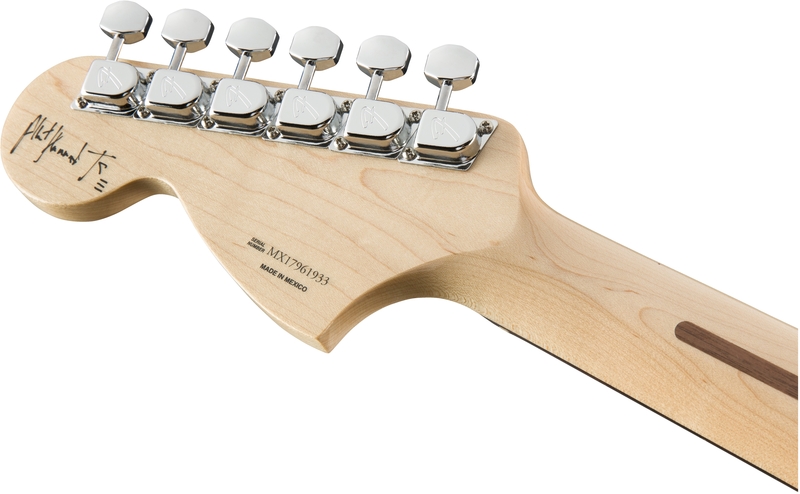 Hammond’s signature graces the back of the large ‘70s-style headstock, while other ‘70s-inspired features include bullet truss rod nut, 3-bolt “F”-stamped neck plate with period-correct Micro-Tilt™ adjustment and a ‘70s-era logo. 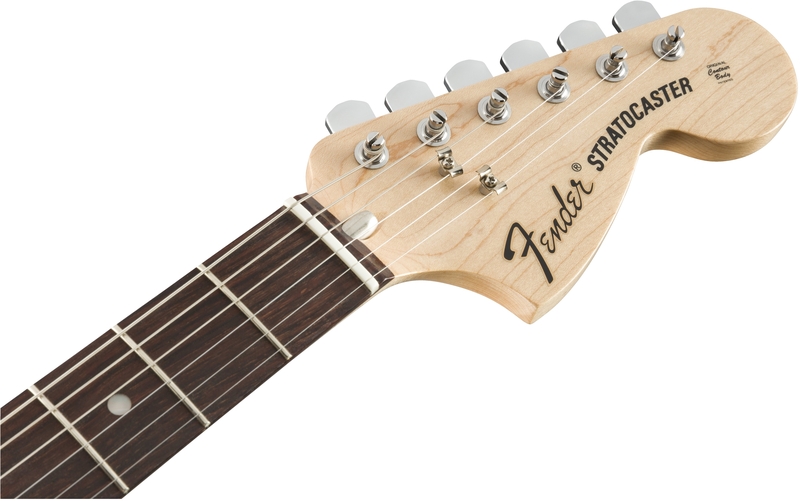 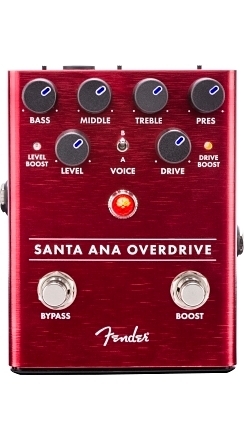 A period-accurate touch, the large headstock brings an aesthetic straight from the ‘70s into the modern day. 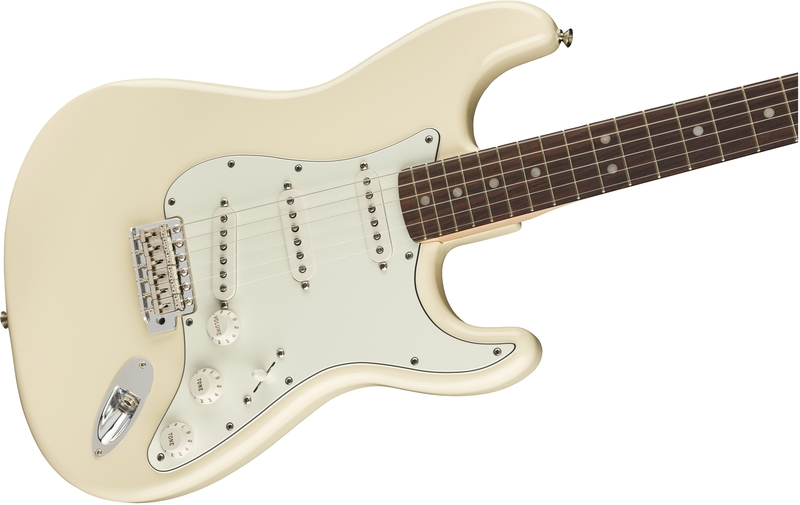 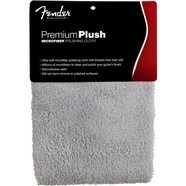 There’s nothing like the timeless singing, snapping, screaming and sparkling sound of Fender ceramic single-coil Stratocaster pickups. 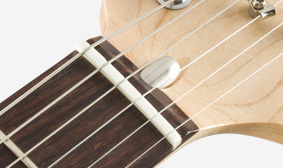 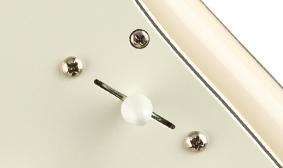 Pickup switch position four activates the neck and bridge pickups in tandem, unlocking Tele®-like two-pickup tones. 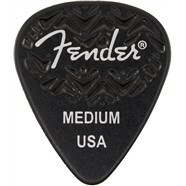 Positions 1 and 3 are also reversed from the traditional layout. 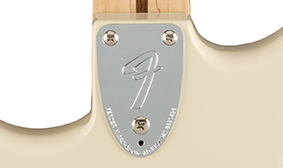 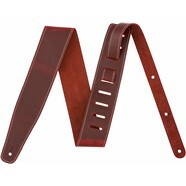 A vintage-correct feature, this 3-bolt neck plate features our classic Micro-Tilt to help you adjust the neck angle for just the right action for your playing style. 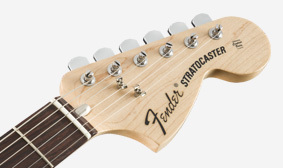 For 1970s-era authenticity, this guitar features the “bullet” truss rod system introduced in 1971, when the truss rod adjustment mechanism was changed to a bullet-shaped nut. 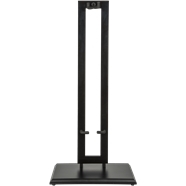 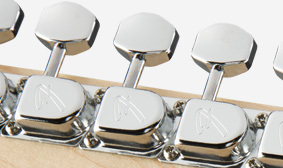 Stamped with our classic “F” logo, these period-correct tuning machines feature slotted posts for quick string changes.